A member of the Writers’ League since April 2016, Kerry lives in Leander. Kerry L Stevens: My debut book is a memoir about my maverick mother, and our unique relationship. It’s called Forever Herself: A Son’s Memoir of a Remarkable Woman. KS: I would relish spending time with Rev. Martin Luther King, Jr. One of his earlier books, Strength to Love, changed my life. My first remarks would be to offer him my sincerest gratitude for the work he did and the inspiration he’s provided to so many people. Then we’d discuss how we could collaborate to continue to change the world. KS: I don’t believe I’d need a book to keep me sane. I enjoy my time alone and exploring the world. I’m certain a deserted island would also hold many secrets waiting to be revealed. I seldom read the same book twice. So repeatedly reading the same book may add to my insanity, rather than detract from it. I’d desire to have a detailed reference book about the flora, fauna, geography, astronomy, and other scientific facts for islands in the region which I could use to survive and improve my life. KS: The WLT is like a chest filled with treasures of classes. I’ve learned much about the craft and business of writing. The knowledge gained shaped the memoir I wrote and provided the energy to see it completed, then help prepare me to publish and promote it. KS: The next phase is promoting my memoir, Forever Herself, released in October. It was written to honor my mother, a prolific writer who died without achieving her dream of sharing her words in a published book. It’s a fusion of her poetry and prose with my memories of our relationship. My next project may be publishing an entire book of her poetry or one of her Middle Grade novels. If I can find the right illustrator, I’d also love to publish one of her children’s books. KS: I’ve only recently read one Texas-related book. It’s called Soul Love: How a Dog Taught Me to Breathe Again. It’s a raw memoir of despair and hope written by a friend, Teresa Q. Bitner. KS: Shaped by childhood adversity in an impoverished, fatherless home during the Great Depression, my mother grew into a strong woman who embraced life on her terms. But when she dared to be herself in our rural community, she endured ostracism and loneliness, finding solace in her faith. You may learn more about Forever Herself: A Son’s Memoir of a Remarkable Woman at my website www.KerryLStevens.com. Because my mother is a contributing author, her dream is now fulfilled. Today’s guest post comes to us by way of the Writers of Southern Nevada. Their upcoming one-day conference, Telling Your Story: The Craft and Business of Memoir Writing, has a fantastic lineup of authors and speakers. Be sure to check it out! You’ve been thinking about writing a memoir—but you wonder where to start and how much to include. A memoir is a story, which means it has a structure, and uses fictional techniques to bring a reader into the world you are creating; a memoir needs one or two major themes as the focus. Let’s look at ways to help you begin and focus your memoir. house, or a sudden loss. A turning point might be a powerful moment of happiness—getting married, traveling, or the birth of a child. List 10-15 of these turning point moments. Use photo albums to refresh your memory, or old letters. Visiting your home town or places where you lived can help you remember important moments. Interviewing friends and relatives can help you remember more, but claim your own memories as your own! Chart your turning points on a timeline—draw a horizontal line to represent time, and vertical ones to track the decades. Charting significant moments, your turning points, can help you see your life through new eyes, and gives you a sense of the spine of your story. Do these moments have a theme? What is the arc of your story? You can begin writing your turning point moments one by one. Begin with those that have a powerful emotional feeling. Emotion and change weave a story together. The narrative arc is how your story flows from beginning to end. Think of it an overview of the plot, and how focus your book. Plot, narrative arc, and story structure are all ways of talking about the same thing—which is how your story begins, develops, and ends. Unlike journaling, a story has a form—a beginning, middle, and an end. Another way to think about this is that your story, your book, needs to have a dramatic structure: Act One, Act Two, and Act Three. Something significant happens in each scene—the point of the scene. A story has a reason for being told—this is your theme. The protagonist—in a memoir it’s you!—is changed significantly by events, actions, and epiphanies. The growth and change of the main character is imperative in any story, and is the primary reason a memoir is written—to show the arc of character change from beginning to end. All stories have conflict, rising action, a crisis, a climax, and a resolution. By the end, the protagonist is transformed. the scene, our senses are engaged. A protagonist with ongoing conflicts and problems that are not immediately solvable. A setting where the action takes place. A time frame for the action. Characters are developed in each scene, preferably through dialogue and action. Be sure to include sensual details such as sight, sound, smell, and feeling. Use colors, texture, and smell to enhance a scene. Strong verbs and nouns enhance the feeling of being in the world of the story. If you keep these tips in mind, your memoir will soar from the page and begin to weave the world of your memories. Remember, journaling—which is where most memoirists start—does not require the techniques that we list here, but story writing does. Read well written memoirs and fiction. Learn from those who have written books that move you. Write regularly, remembering to be patient with the process. One scene at a time, one story at a time builds your memoir into a book! Linda Joy Myers, Ph.D., MFT, is the President and founder of the National Association of Memoir Writers, Instructor at Writers Digest, and past president of the CWC Marin branch. She is the author of The Power of Memoir—How to Write Your Healing Story, and the award winning memoir Don’t Call Me Mother. Linda has won prizes for her work in fiction, non-fiction, and poetry. 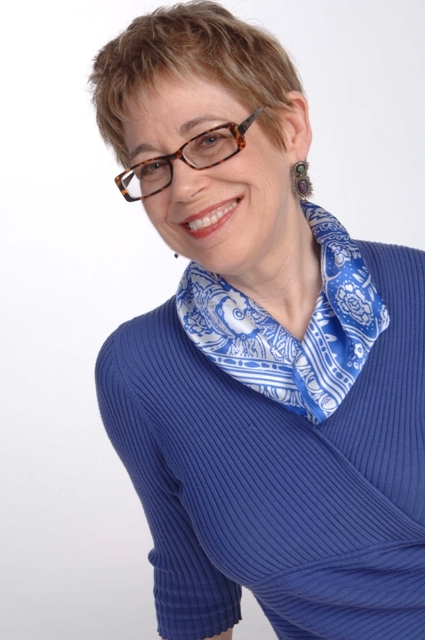 Linda gives workshops nationally, and helps people capture their stories through coaching, editing, and online workshops.